As car people, we love engines. Sure, a nicely tuned suspension and a perfectly trimmed interior are huge components of a great car, but when it really comes down to it the engine is what we love the most. If the motor is junk, then it’s hard to like a car. When buying a car, you find yourself holding out for the one with the good engine, not that other one. I want to start a series that won’t have a defined end point, highlighting some of Europe’s greatest, most popular, rarest, oddest, or just plain unknown engines. 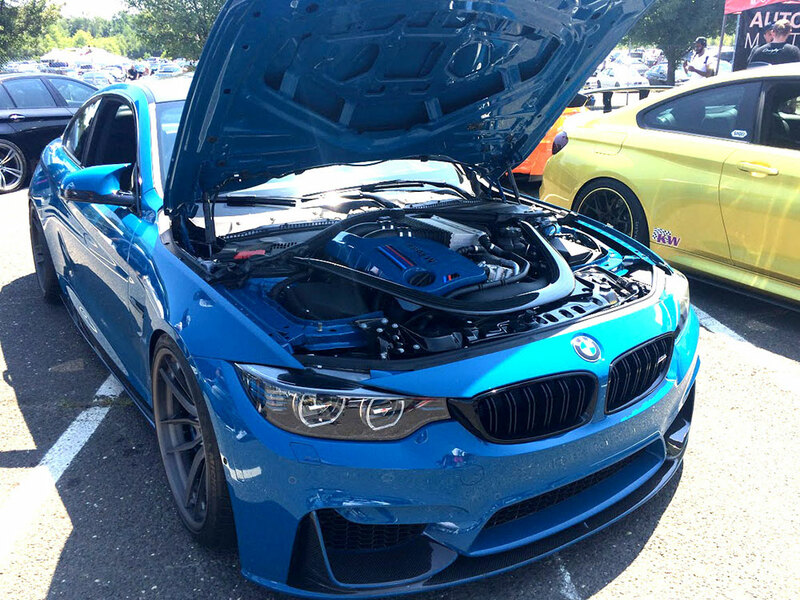 The first engine of the series is one I came across the other day, when reading about the new M2 Competition, the BMW S55. There is a LOT of data on this engine, so you’re in luck if you love those juicy details. The BMW S55 is the latest and greatest from BMW, crowning the German car maker’s turbo age. Using the N55 as the base, the S55 utilizes some impressive technology in order to generate class leading throttle response, low CO2 emissions, and a stratospheric 141 horsepower per liter of displacement. Debuted back in 2014 for the M3/M4 launch, the BMW S55 is available in a few variants depending on M3/M4 trim. 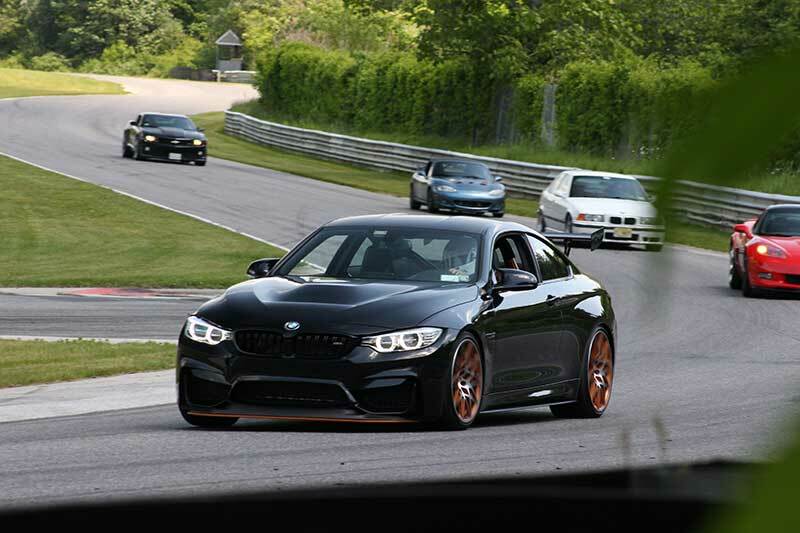 The engine also calls the M2 Competition home. Returning back to BMW’s familiar inline 6 architecture, the all aluminum 3.0l S55 comes in at a full 10kg lighter than the outgoing S65 V8. Power is not sacrificed for the weight savings however, with the top trim M4 GTS engine achieving 493hp and 443lf/ft of torque. 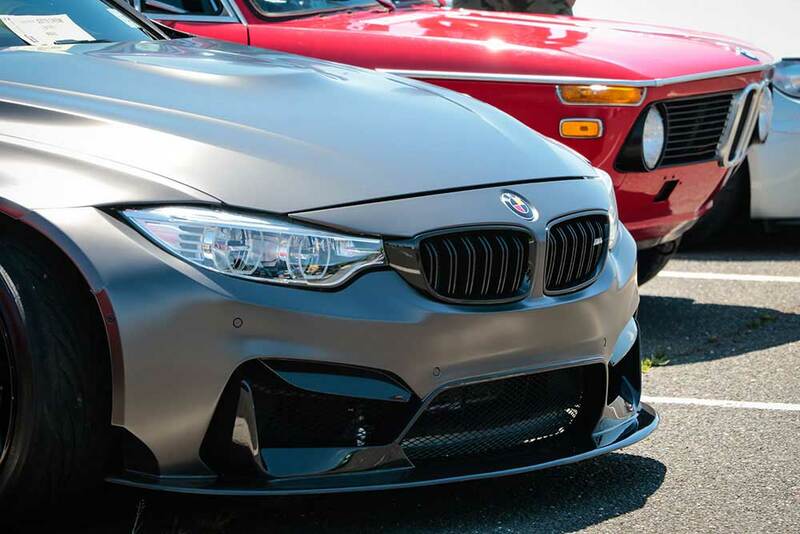 The smaller cooling surface area of the M2 require a modestly trimmed out S55 according to BMW, which still crests 400hp at the lowest available level. We have recently added a number of custom Do88 cooling products for the M2 (N55 and S55), that will allow the user to safely tune for the higher power levels of the larger M cars. 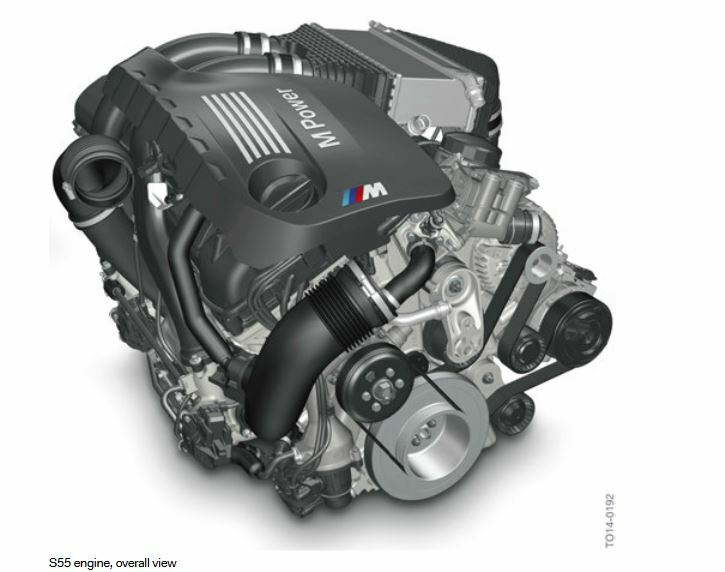 Unlike the N55, the BMW S55 features a closed deck engine block and crankcase design, making it resilient to the higher cylinder pressures associated with the ramped up output. The bore X stroke are slightly undersquare, at 84mm X 89mm. The longer stroke helps the S55 achieve excellent low end torque, with peak grunt available from well under 2,000rpm. Peak horsepower continues flatly all the way past 7,000rpm. The compression ratio is fairly aggressive at 10.2:1 for such a high charge pressure, but due to the technology up top, BMW has it under control. One of those systems is the familiar VANOS, or double VANOS featuring a very similar design to the N55. The other is the quite stupendous Valvetronic, now in its third generation. Valvetronic, if you’ve never read about it, is quite an amazing piece of kit that allows the S55 (as well as many other BMW engines since 2001 in some form) to use variable lift intake valves to control throttle, rather than a conventional throttle plate. These engines still have a throttle body for a fail safe, but on the S55 that (supposedly) stays completely open, keeping atmospheric pressure all the way back to the cylinder head and ultimately improving efficiency and throttle response. You can see the solenoid (17) is able to activate the eccentric shaft (2). The magic happens when the intermediate lever (6), acted on directly from the camshaft (5), is pushed back and forth. The curved profile moves over the rocker, illustrated in red. Currently shown in max lift. When moved in the direction of the arrow, the rocker lands in the center of the curved arm for no intake valve lift. In top M4 GTS trim, the S55 can produce nearly 500hp reliably, with the help of a water injection tank you must fill. Pistons are Grafal-coated ‘slipper’ style aluminum alloy (AlSi12Cu4Ni2Mg) units manufactured by Mahle, made to ride in sleeveless cylinders. The interior of the S55 cylinder jugs are coated with what is called a 2-wire arc spray process (LDS), reducing weight. With this system, the surface is coated with a thin but extremely strong atomized spray of molten metal, and is commonly used for extreme applications such as turbine blades. I cannot find any specifics on what metal they use, but be sure it is some kind of super alloy. The bottom of the crankcase has special ventilation holes bridging cylinders 1-2-3 and 4-5-6 for improved pressure equalization to reduce pressure oscillation. Oil squirters are utilized to spray the bottoms of the pistons for crown cooling. Two single scroll Mitsubishi TF035 turbochargers provide around 18lbs of peak boost to the cylinders, sending power to a nitrocarburized forged steel crankshaft (42CrMoS4 Mod) featuring a symmetrical counterweight arrangement and 7 main bearings. The twin turbos each have an electronically actuated waste gate, further enhancing throttle response while also deleting vacuum demand. The design of the waste gates help negate the need for a blow-off or recirculation valve. The physical design of the turbos are similar to the N54, with integrated cast alloy steel exhaust manifold for optimum flow. Charge air cooling is done via air-to-water intercooler situated right on top of the engine on the intake manifold. Interestingly enough, the intake manifold also houses the DME control unit, using the air to cool the electronic ECU as it passes over it. BMW has come a long way since the 2002ti’s M10 4cyl. 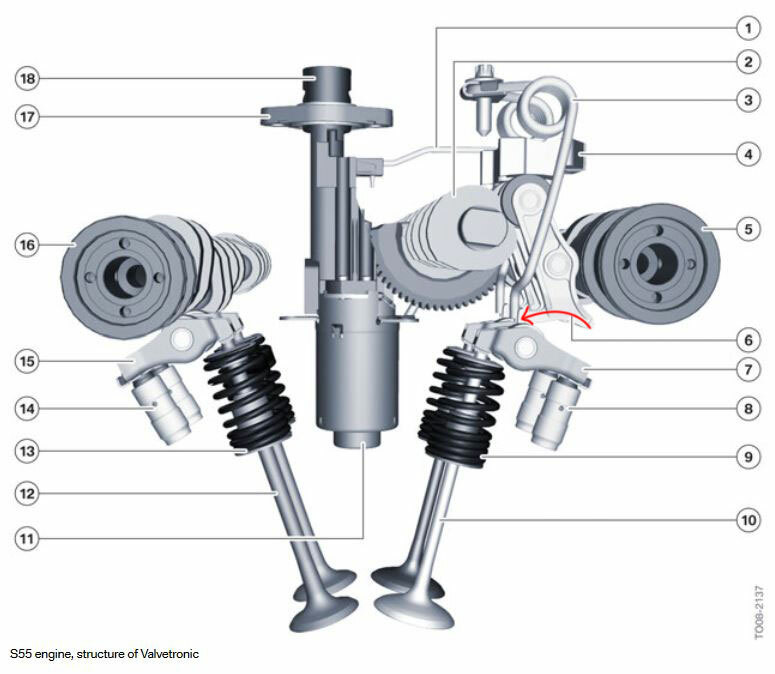 BMW forgoes the use of its own high pressure injection (HPI) system in favor of a Bosch solenoid valve fuel injector and multi-hole nozzle (HDE), specifically due to the use of the turbos in conjunction with Valvetronic III. An extra cylinder is added to the high pressure fuel pump to support higher fuel flow for the M engine. A vacuum pump powers the brake booster only, as all other vacuum operated devices such as control valves and waste gates have been electrified through the use of solenoids. To save space, the vacuum pump and high pressure fuel pump are integrated, with a single shaft operating the three lobe vacuum pump and the cammed fuel pump cylinders. The coming together of the forced induction system, valvetronic system, and direct fuel injection aids in reducing Carbon emissions by 3-6% over the N55. The oil pan is constructed from extremely lightweight magnesium, allowing a 2.2lb weight savings over the stock N55. 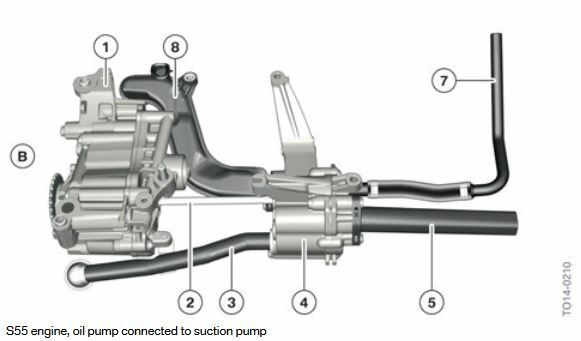 The oil pump system is described as a ‘pendulum slide’ type, borrowing from the N55. A second oil suction pump has been added to support the flow of oil out of the turbos and from front and side areas of the oil pan. This allows the sump to supply constant and secure oil pressure up to sustained 1.2g’s. They call this a ‘twin-flow’ gear pump. 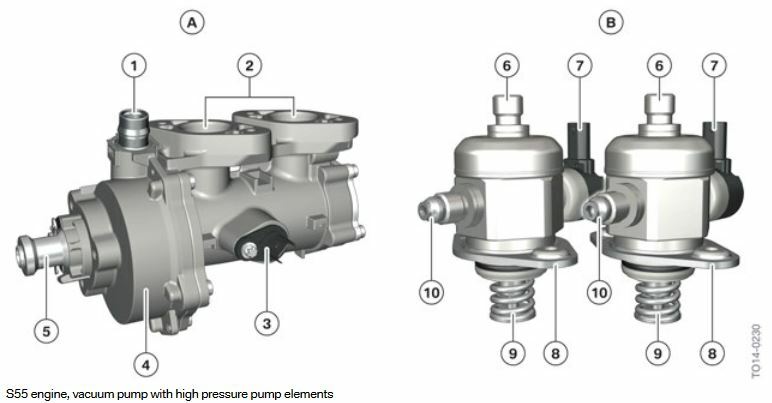 Pressure is electronically controlled via control valve in the pump manifold, and a very precise Puls2 pressure sensor. That allows the ecu to control oil pressure via map at every conceivable engine speed rather than a more conventional mechanical system. Why, is beyond me. Unfortunately, you also end up with no dipstick with the S55, relegating to an electronic oil level measurement. The main oil pump (1) and the secondary ‘suction’ pump (4) connected via shaft linkage (2). If you’ve gotten this far, congratulations you’re an expert. All in all, the BMW S55 is an extremely modern electronic engine that is sure to go down in history as a legend, just as long as all of those solenoids stay in good shape. 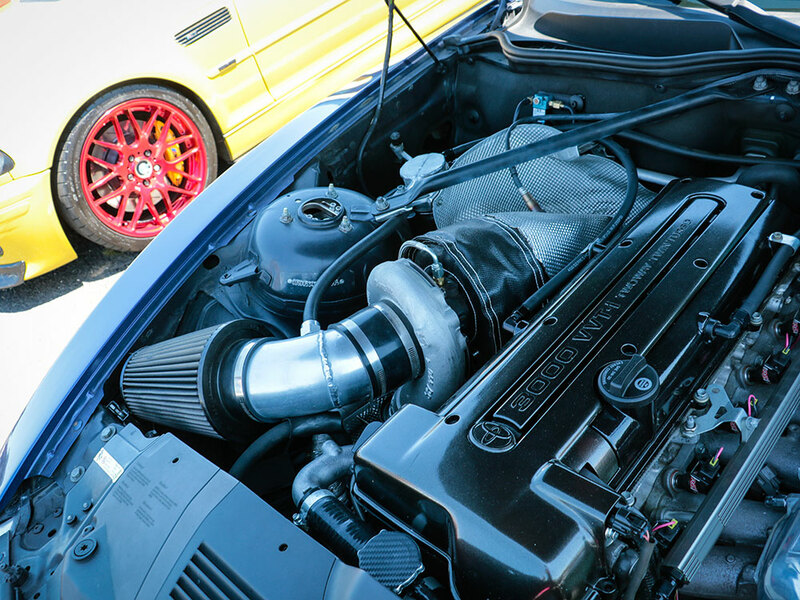 If you are thinking of that 2JZ swap for your car, consider an S55. Could be fun!